Asst. 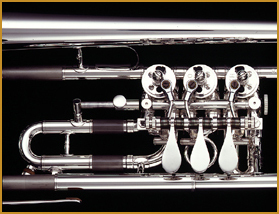 Principal Trombone -- Milwaukee Symphony Orch. Soloist and Trombone Instructor -- Texas Tech Univ. Tuba Soloist, Professor of Tuba & Euph. -- Rutgers Univ.